Mobile games were designed on the premise that you need something to click while you stare at your screen. That’s what Egg, Inc. for PC is all about. 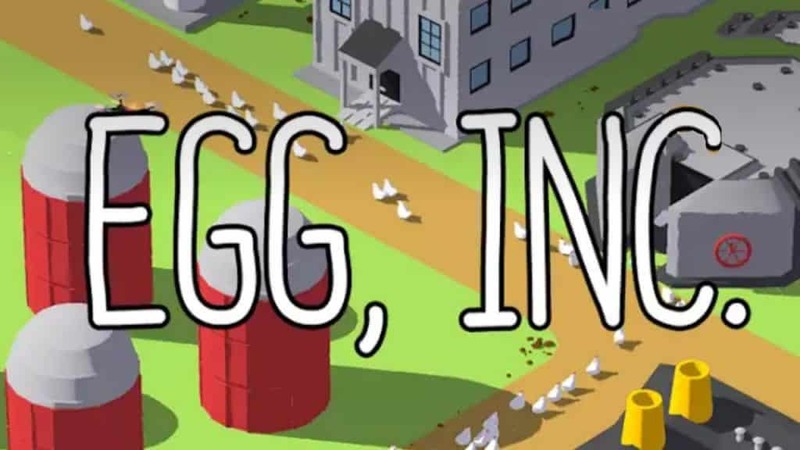 Egg, Inc. for PC is average when it starts out but it quickly becomes engaging as you guide your little egg farm into a powerhouse. In the game’s world eggs are a valuable resource. They are used for more than just nutrient-dense meal. They are also used for medication and will be used to solve all of your problems. Eggs are the new gold and your job is to capitalize on the burgeoning business. The faster that your farm produces eggs, the better. The main way to up your farm’s egg production is by tapping furiously on the red box on the screen which brings in more chickens and more chickens on your farm equates to more eggs to sell. You can also slow down and let the game automatically increase your output but that takes much more time. After a while the game starts to feel like you’re stuck in your family business. Majority of your time will be spent flipping through different on-screen menus as you juggle between which upgrades to install. The best upgrades increase your farm’s egg laying rate and increase the value of the eggs that are laid. It doesn’t sound like much but it somehow manages to hold your attention. As your farm grows there are other tasks that need to be taken care of such as shooting down drones and farm-expanding exercises. Each new mission gives you a choice of how to you wish to progress. You don’t have to exercise those options but it is nice to have the choice. The farther along that you get, the more options you have in what kind of eggs you choose to farm. This is a bonus because you get to switch to farming better quality eggs that require less space to turn the profits that you are looking for. The drawback to changing your type of egg is that most of your progress will be reset. Only a few of your upgrades remain but the sense of accomplishment carries through as well. Egg, Inc for PC takes its time to get you really interested but once it has you it does not let go. It’s a great way to while away the hours in short or long bursts if you have some time to kill, depending on how much time you have. This makes for an interesting game but you won’t be able to put aside the feeling of how pointless it actually is and its plain interface doesn’t help. It’s hardly the kind of thing that you want to be seen playing when someone peeps over at your screen. 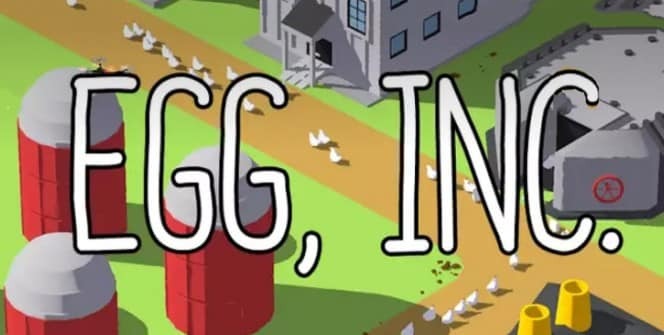 Egg, Inc. for PC’s best feature is in the sense of success that it gives you, even though all that you’re doing is farming eggs. You’ll feel proud of yourself for turning a simple hen house into a money-making machine. Regularly engaging in the game is the best way to progress however the game runs in the background so even if you’ve been away you can be sure that your interests are still prospering, albeit at a slower rate. This game is a novel addition to the idle-clickers game list. It’s engaging and interesting and you’d be surpirsed at how it makes you want to become the best egg farmer the world has ever seen. Sometimes when playing Egg, Inc., bluestacks ask you fee to pay but gives you option to download some apps. Every time it asks you just select “Install apps” and continue using it free. I hope you enjoyed this guide, please rate and share. If you have problems running Egg, Inc. on desktop or any other issues, leave a comment below. I did all of the bluestack downloads, why cant I play eggs inc? on my pc?